Our years of experience in resort means we can recommend some of the best ski and snowboard schools in Morzine-Avoriaz. During peak weeks, lessons get booked up extremely early so we would recommend booking up as soon as possible! From all our properties you can easily access the Avoriaz and Morzine/Les Gets ski areas but you need to work out where you and your party will be skiing most. We recommend Avoriaz for most skiers and snowboarders as there is a good variety of pistes to suit all levels. However, for kids and nervous beginners, Morzine/Les Gets works well due to its easy access to town if they are feeling tired. It is essential you pre-book all lessons direct with your chosen provider before your holiday starts, particularly in peak weeks. If you are part of a larger group, ensure you all have lessons in the same place – e.g. 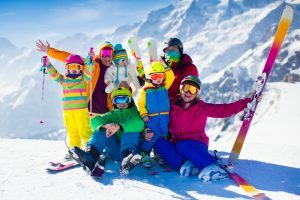 Avoriaz based schools, Morzine or Les Gets based schools. It makes your morning drop offs, meeting points for lunch and après ski a lot easier for you to organise. The Snow Institute Morzine/Les Gets Private and group. BASS Morzine Morzine/Les Gets Private and group. ESF Morzine Morzine Private and group. Easy2Ride Morzine/Les Gets Private and group. Freedom2Ski Avoriaz Private and group. Avoriaz Alpine Ski School Avoriaz Private and group. The Snow School Morzine/Les Gets Private and group. ESF Avoriaz Avoriaz Private and group. BillSki Avoriaz/Morzine/Les Gets Private, group & freestyle. Annie Donovan Avoriaz Private, group & freestyle.